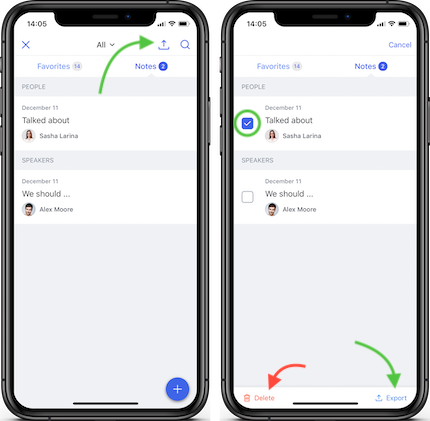 Take down quick notes right in the app associated with sessions, attendees, speakers and other content. 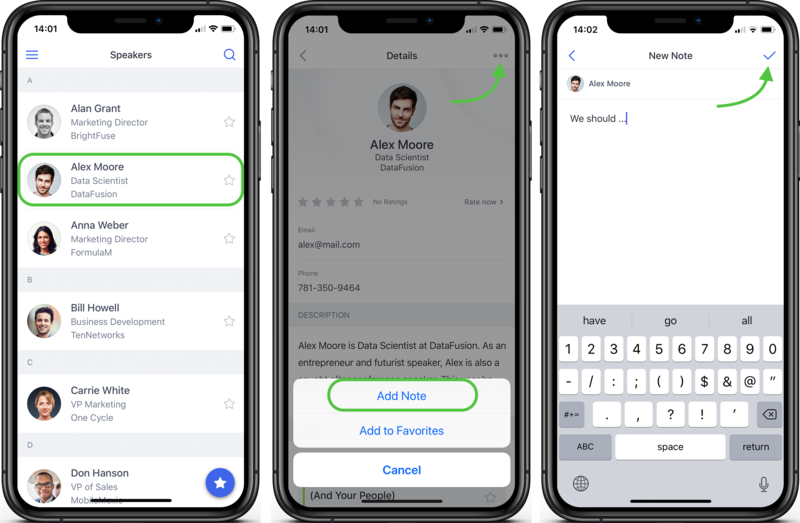 Notes is a useful feature that allows your attendees to keep track of their interactions and comments. 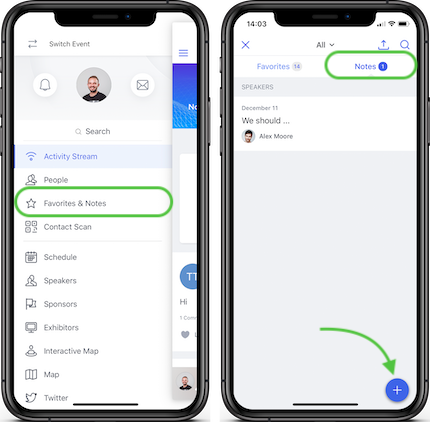 It’s possible to add tags to notes, connecting them to a specific session, attendee, speaker, location, exhibitor or sponsor. 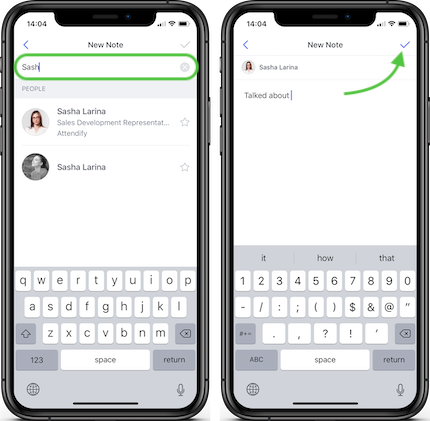 Multiple tags can be added to a single note. 1. Swipe the screen to the right to access the app menu and select Favorites & Notes. Go to notes tab and tap the "+" button at the bottom. 2. Search for speakers, sessions, locations and so on by typing keywords or letters and tap the item you'd like to tag. Write a note and tao the checkmark at the top to save it.